Introducing the new and improved Panelpolls website! Today we are pleased to announce the launch of the new and improved Panelpolls website. Panelpolls is the “The Cool Opinion” site Families (Moms, dads, kids, Teens and Young Adults) and keeping with our “cool” theme, we have a number of new features and functionalities to announce. The new Panelpolls site utilizes the most current and leading edge digital and community design principles and technologies to give you the best experience possible and allows access from wherever you are. 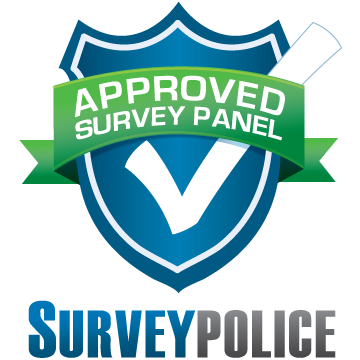 The new Panelpolls website has been adjusted to allow community members to access the site across all major platforms, internet browsers, and mobile devices. On the go? Ditched your laptop for the newest tablet or smartphone? Panelpolls has you covered 😉 Panelpolls is now accessible across all major platforms and devices including iPhones, iPads, Android tablets, smartphones and Kindle Fires. Access surveys, check points, update account information and participate in community activities from your smartphone, tablet, computer or laptop. In addition, not all, but many Panelpolls surveys will now be able to completed on a mobile device. Panelpolls is now dashboard based, meaning you will be able to access all important projects, webpages, communities, points and more from our easy to use dashboard without the need to click through multiple pages of content to get the info you need. You will see other new bells and whistles when you login to the site for the first time after the update such as a monthly quickpoll, an updated news section, the ability to add a profile picture for community activities, quickly and easily update profile information and see available rewards directly from the new dashboard. Another new feature to mention is the one you are using right now! That’s right Panelpolls now has its own blog, the “Kids and Family Insight Blog” where we will be posting Panelpolls updates, news, projects, and other fun opportunities. Be sure to check our blog regularly to stay in the loop. Panelpolls now has a presence on many social networks including, Facebook, Twitter, Pinterest and Instagram. Please be sure to follow us to stay in the loop and help us spread the word. Existing Panelpolls community members will notice a built in Tell-A-Friend feature, this is a way where you can spread the word to your friends about Panelpolls and earn some points. Depending on your household composition, you or your child(ren) may qualify for our online and mobile game/app Beta Tester program iGamelab.com. Be sure to check on the new Panelpolls community access to see if your household is eligible. Existing members can login to iGamelab.com right from the new Panelpolls community dashboard. In addition to iGamelab.com, if you have a teen Age 13-17, they may qualify to participate in our online community for Teens, SpotWatchCommunity.com SpotWatch is currently accepting new members and you can have your teen sign-up by navigating directly to the site. If you are a member of our online community of Moms, The Mother Hood, you will now be able to access the community right from the community dash. As usual, Panelpolls will continue to have many fun opportunities for you and your family to participate in awesome online surveys, community activities, in-person focus groups and usability tests, online focus groups and other fun activities, movie screenings and more—earn points worth cash for each activity you/your family participates in. We truly hope you enjoy the new site. Please let us know what you think about it in the comments section below. If you are interested in becoming a contributor the Panelpolls “Kids and Families Insight Blog” or would like to submit an article/post, please click here to go to the contact page and let us know about your idea. Not a current member of Panelpolls? Sign your family up today and start getting paid for your opinions.